At Oakland Museum of California. This year, for its large weed-themed show, we saw the Oakland Museum of California push the boundaries of curating by becoming the first museum to exhibit live marijuana plants. And for its last show of the year, the museum is once again attempting to expand our understanding of what belongs inside a vitrine with Out of the Box: The Rise of Sneaker Culture. The exhibition tracks the cultural evolution of sneakers from mere sportswear to status symbol, fashion staple, and fetishized commodity drawing thousands to sneaker conventions every year. 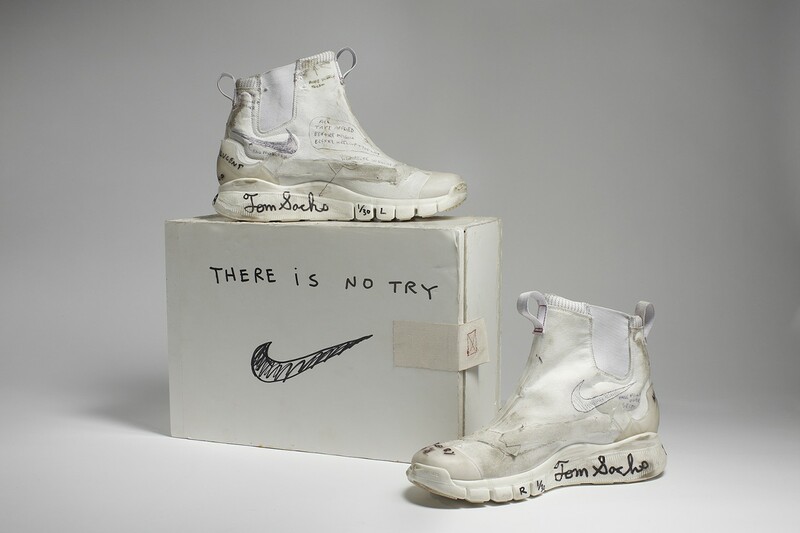 The first exhibit of its kind, Out of the Box showcases 140 iconic sneakers from the 19th century to the present, including rare collectibles from Adidas, Nike, Puma, and Reebok as well as favorites from the collections of famous “sneakerheads” such as Run-DMC and Bobbito Garcia. But even for those who don’t know a thing about sneaker culture, this show will have you asking: What do our cultural obsessions say about us?